Bring out your dog's potential to locate downed birds. Marking ability is considered a hereditary trait, but training is required to bring it out in the dog. Transforming a raw&apos;recruit puppy into a first-class working retriever takes a lot of training, which in turn requires a generous supply of time. Success also depends on the pup having certain hereditary traits, namely retrieving instinct, birdiness, marking ability, memory and trainability. Fortunately, the people who developed various retriever breeds were dedicated hunters, so they bred in the right characteristics from the earliest days. And in ensuing years, serious breeders have maintained, and sometimes intensified, those characteristics. Of these, marking is the most mysterious, therefore the most widely misunderstood. A beginner tends to expect too much. If the retriever doesn't race out and immediately pounce on the downed bird, an uninformed neophyte often starts tooting a whistle and waving arms to help the dog. Nothing could do more harm to a young retriever's marking ability. Assuming the bird has fallen in cover, whether on land or in water, when the dog reaches the general location of the fall, nothing looks the same as it did from his owner's side. Therefore, even with the help of his nose, the pooch usually has to hunt the area around the fall to find the bird. No retriever can "pin" or "button" every mark. Clearly, a working retriever should be allowed a reasonable area around a fall to hunt without being accused of disturbing cover unnecessarily. As long as a retriever hunts therein, the dog is doing a proper job. However, if the retriever strays outside of the area for a bit, the boss should step in and handle the dog to the bird as in a blind retrieve. How large an area should you allow your retriever on any given mark? It depends on several factors, for which I can give you only general guidelines. However, these guidelines, plus your own experience with your dog, will help you develop a sense of a reasonable area of the fall. A basic rule of thumb says that on a windless day, the area of a fall should be a circle around the bird with a radius of about 10 percent of the distance from the handler to the bird. Thus, for a 30-yard retrieve, the area of the fall would be a circle around the bird with a radius of about three yards, or a diameter of about six yards. For a 50-yard retrieve, the circle would have a radius of about five yards. For a 75-yard retrieve, it would have a radius of about 7.5 yards. And so forth. However, any significant wind would change both the shape and location of the area of the fall. Once in the area, the retriever hunts mostly with its nose, not its eyes. Therefore, the dog needs more room on the downwind side of the bird and less on the upwind side. Because scent spreads as it is blown, the area of the fall would become cone-shaped, with the bird nearer the narrow end of the cone. Hazards, such as cover and terrain variations, and land-water-land marks between the handler and the bird affect the difficulty of a retrieve, and therefore, increase the size of the area of the fall. If the dog is able to maintain constant line-of-sight visual contact with the spot where the bird fell, the job is fairly simple. However, if hazards along the way force the retriever to lose visual contact, the job becomes much more complex. Thus, the area of the fall is necessarily larger for a mark with such hazards. In a double mark, the area of the fall for the memory bird (first down, last retrieved) is proportionately larger than the area for the go-bird (last down, first retrieved). The retriever must remember the memory bird while retrieving the go-bird, so the dog needs a larger area for the memory bird. Similar adjustments should be made for both memory birds in a triple mark. Also, the size of the area of the fall must account for the individual dog. A fast, stylish retriever usually hunts a larger area than a slow plodder. "Marking is in the genes" is an old axiom among retriever folks. It's true, but it doesn't tell the entire story. Bringing out any retriever's hereditary marking talent takes a lot of experience in marking under a variety of circumstances. We call that training, but technically speaking, we aren't teaching the dog anything -- we're just setting up various marking situations that allow and encourage the dog to develop its hereditary abilities. In the various types of control training, such as obedience and blind retrieve work, we teach specific skills. In marking, we simply help the dog learn. If you work regularly with a training group, you'll notice that even with the same tests in session after session, some dogs always mark better than others. The difference is in the genes. No amount of marking experience will induce a dog to mark better than the genetics allow. Of course, inadequate experience can prevent a dog from developing full marking potential. The point is you shouldn't allow yourself to become competitive during group training sessions. Work to bring out your retriever's full marking potential, and don't concern yourself with how much better or worse the other dogs in the group are doing. Experience will teach you the limits of your dog's marking ability. You'll know when the dog is hunting intently in the appropriate area. You'll also know when the dog has lost the mark and is just running around. A retriever on the mark moves purposefully and vigorously. When the dog doesn't have the mark, he tends to wander. When a retriever is hunting intently in a proper area, handling him or having someone help him will damage the dog's confidence and hurt marking ability. When the dog has lost the mark and is moving about aimlessly, letting him continue wastes everyone's time. Great marking ability has a price. If your retriever is an outstanding marker, he'll almost certainly present you with frustrating problems in blind retrieves. He might take quite well to basic lining, stopping and casting. He might sail through all manners of pattern blinds. But when you start running him on real blind retrieves, he might frequently think he has a better idea. His marking ability has given him such confidence in his own ability to find birds that he might not be too receptive to your unsolicited assistance, even on blinds. 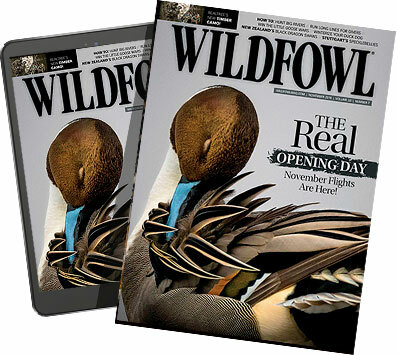 Several of Jim Spencer's books are available from the Wildfowl Bookshelf. Handling a dog to marks when he doesn't need help will damage his confidence and hurt his marking ability. The dog's body language might seem to say, "Hey Boss, just turn me loose and I'll find it a lot quicker than I ever will with all this stopping and starting nonsense!" And away he goes on his own. The best marking retriever I ever saw was notoriously independent on blind retrieves. Even after extensive professional training, when not wearing an e-collar, he would allow his owner only about three whistles before turning him off and going into business for himself. On the other hand, unspectacular marking ability is not without reward. The retriever with marginal marking talents usually loves to be handled like it is a blind retrieve, whether on blinds or marks. My all-time favorite golden, Duncan Dell's MacDuff**CD VC, was a mediocre marker. But he loved for me to handle him to birds, blinds or marks. I don't ever remember him slipping a whistle, whether on a blind or a mark. He also took my casts very politely and accurately. He retrieved a lot of birds for me.